Whether down in a series, down a goal, or down to the wire for a berth in the Stanley Cup final, Drew Doughty and the Los Angeles Kings have been unflappable in their quest for another championship banner. They’ve been on the canvas throughout the 2014 NHL Playoffs, but time and again, the Kings have found a way to dust themselves off and then dust off the competition. On the wrong side of a three games to none deficit in the first round against San Jose, the Kings won the next four contests, to earn them a spot in the Western Conference semifinals against another state rival, Anaheim. One game away from elimination, Los Angeles won both Game 6 and Game 7, giving them an opportunity to face the Chicago Blackhawks, the team that sent them to the sidelines in last year’s Western Conference final. 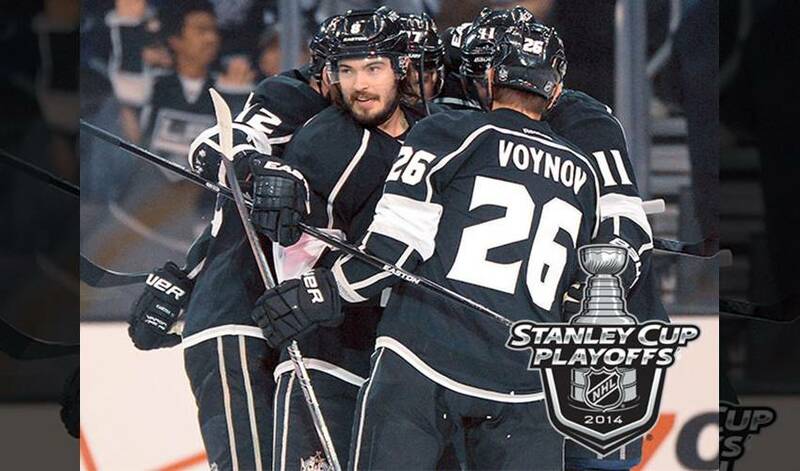 A 3-1 loss in Game 1 of their rematch was followed by an authoritative 6-2 LA win. On Saturday night, on home ice, after giving up the first goal, the Kings won 4-3, to take a two games to one series advantage. Emulating Doughty would certainly be a blueprint for success. While he’s not on the shortlist for Norris Trophy consideration this year, he easily could have been. After a brilliant turn on Team Canada at the Sochi Olympics, Doughty, who has a track record of getting stronger and more impactful the more minutes he plays, has been a pillar on the Kings defence corps throughout the post-season. He had a goal – the game-winner in Game 3 against the ‘Hawks – plus an assist, recorded five blocked shots and saw 28:32 of ice time, the most of any player that night. For LA’s well-regarded workhorse, it’s a challenge that he thrives upon.